The Federal Ministry of Petroleum Resources has put Nigeria’s crude oil production, including condensate at 2.025 million barrels per day in June 2017. Besides, the agency said the Federal Government is yet to secure funding for the rehabilitation of the country’s refineries. These come as the Federal Executive Council (FEC) approved the National Gas Policy, aimed at improving Nigeria’s gas fortunes and to boost the country’s revenues from the commodity. The ministry, in its June report released on Tuesday, put the country’s gas production at 6.741 billion standard cubic feet (bscfd) during the month under review.According to the agency, Nigeria trucked out about 33.59 million litres (ml) of Premium Motor Spirit (PMS) also known as petrol; 8.90 ml Automative Gas Oil (AGO) also known as diesel; 1.84 ml Dual Purpose Kerosene, 1.04ml Aviation Turbine Kerosene (ATK); and 0.22 ml Low Pour Fuel Oil (LPFO) or black oil. Dwelling on the rehabilitation of the country’s refineries, the Minister of State for Petroleum Resource, Dr. Ibe Kachikwu, said no financiers have been selected yet.According to him, the plan is to formally engage pool of financiers after cost estimate for the refineries rehabilitation has been firmed up. 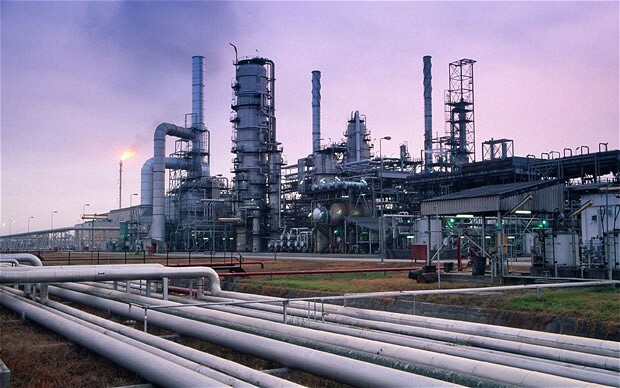 The minister said the refurbishment of the refineries to name plate capacity through the injection of private sector partner-finance remained the focus of the Government and to transit Nigeria from massive importer of petroleum products to a net exporter by end of 2019. Kachikwu added that the government is also passionate about opening up investment opportunities in the mid-downstream sector and stabilise petroleum products supply across the country. Meanwhile, the Minister has said that Nigeria needs major changes in policy to make gas a hub of the nation’s economy.The minister, who was quoted in a statement as speaking at the fifth Triennial National Delegates’ Conference of the Petroleum and Natural Gas Senior Staff Association of Nigeria (PENGASSAN), also disclosed that the National Gas Policy was approved following his presentation. He highlighted the need to have a stream of revenues between petroleum and gas in order to see an improvement in the Nation’s economy and leverage on opportunities for gains from the oil and gas sector in line with the 7 Big Wins initiative and the National Economic Recovery & Growth Plan (ERGP 2017 to 2020). He added that the ERGP articulates the vision of the Federal Government of Nigeria, sets goals, strategies and an implementation plan for the introduction of an appropriate institutional, legal, regulatory and commercial framework for the gas sector. It is intended to remove the barriers affecting investment and development of the sector. The policy will be reviewed and updated periodically to ensure consistency in Government policy objectives at all times.